Andy Chandler, mastermind behind the hilarious Sandy Blvd Trailer, started making comedy shorts in high school and polished his technical skills working for Portland’s KGW Channel 8 News for the last six years. This skilled filmmaker can bang out a highly produced film on his computer with limited resources. “You can make something pretty good-looking for free nowadays,” Andy explains. Andy is becoming something of a master at movie trailer parodies – lampooning the overwrought sounds and suspense of modern action-thrillers. Sandy Blvd is Andy’s crown jewel. 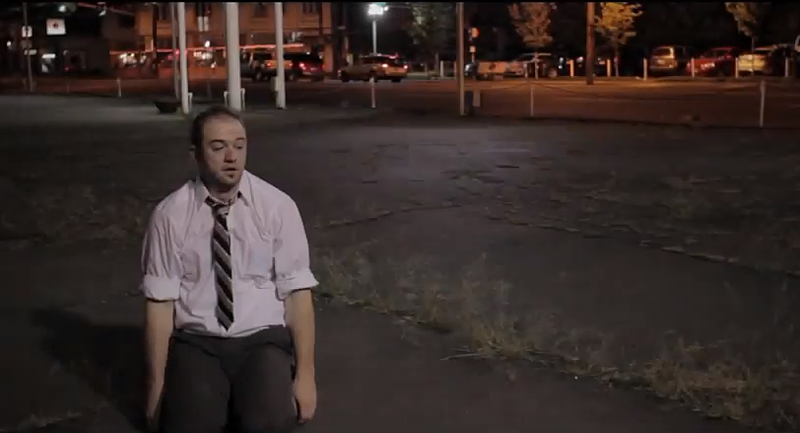 Local comedian Sam Dinkowitz (also the film’s star) hatched the idea to make a fake movie trailer about the “infamously horrible” Portland street, and asked Andy to help. They produced the film using some of Andy’s friends as actors, and the result is pure Portland in-joke cinematic brilliance. This entry was posted in Filmmaker Spotlight, News and tagged filmmaker, spot. Bookmark the permalink.